First published on the MLex Brexit Service 25 November 2016. By Simon Taylor. After months of tinkering and false starts, the gargantuan Brexit negotiating machine has hit the road and is starting to pick up pace. The UK’s Brexit minister, David Davis, met the European Commission’s Brexit chief Michael Barnier on Monday, before traveling to Strasbourg to meet Guy Verhofstadt, the European Parliament’s point man on Britain’s departure from the EU. Not to be outdone, next Tuesday senior officials from 27 EU national governments also meet Barnier and Verhofstadt in Brussels to map out their strategy for the Brexit negotiations, which are expected to start in May or June next year. As would be expected, the focus on these meetings — and those held by Barnier as part of a barnstorming tour of European capitals this week — is on the difficulty of wrapping up the talks in time for the UK to pull out of the EU by early 2019, ahead of the European Parliament elections. It’s a tight timeframe, of course. Yet agreeing on the terms of the UK’s exit is not the biggest challenge. What will prove much more difficult to settle will be the UK’s future relations with the EU after its formal departure. Bridging the gap between leaving and moving to a new status requires a raft of transitional arrangements, which could make Brexit pale in comparison. These transitional arrangements will include a temporary tariff regime and other provisions on how the EU’s current legislation will apply to the UK in the interim period before a new long-term deal is agreed. They will also include the UK’s contribution to the EU budget after Brexit, a highly contentious issue for the UK, as well as the UK’s involvement in EU projects such as the European Investment Bank and the European Development Fund. How this transitional period will be managed is creating real angst in the business world. The Confederation of British Industry expressed concern this week at what it calls a “cliff edge” for UK-based businesses if the UK leaves the EU without transitional measures in place. CBI President Paul Dreschler told the organization’s annual conference in London on Monday that businesses could be “stranded in regulatory no-man’s land” if the UK left the EU without a transitional trading regime. Dreschler warned that UK-based firms could face new and complex paperwork that would be impossible to process in the short term. “They want to know with some certainty how things are going to go forward, that will be part of the work we do in the negotiation we are undertaking with the EU,” May said. In short, the UK government is confident it can negotiate Brexit terms and the country’s immediately post-Brexit relationship with the EU at the same time — something George Bridges, the junior minister for Brexit, confirmed recently in an answer to a parliamentary question. That might be more difficult that the UK government realizes, given the EU has expressed a reluctance to multitask on negotiations. The commission’s negotiating team, led by Barnier, wants to use the allocated two years purely for negotiations on the terms of Brexit, leaving talks on Britain’s future status to be finalized once the UK has left the bloc. 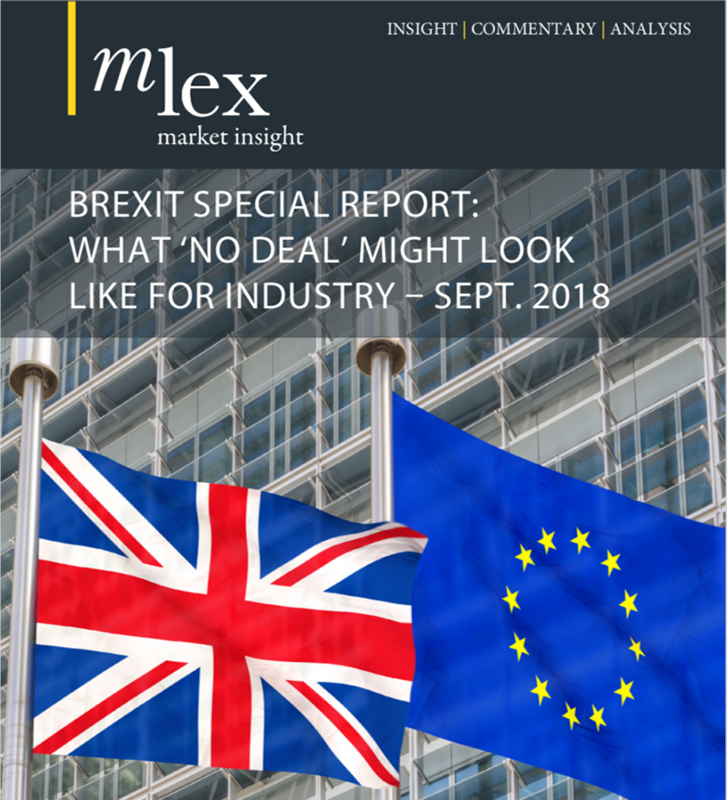 MLex understands that the UK government will have to set out the relationship it is seeking with the EU, in order to conclude the talks on exit terms and move on to transitional arrangements. This doesn’t need to be done the moment May triggers Article 50, but it must be clarified soon enough to allow time for the talks on future status. The problem for May is that deciding which status she wants for the UK in the future means siding with either the “hard” or the “soft” Brexiteers. The first group wants the UK out of the EU fast, while also leaving the customs union. The second wants the UK to have the best terms for trading with the EU and a smooth transition to the new status, in a bid to avoid the cliff-edge scenario. Some officials think that May will set out what kind of future status she wants in the letter she is expected to send in March, triggering Article 50. Although MLex understands there is considerable debate within the UK government over how much detail should go into that letter. The government is keen to maintain an ambiguous stance toward its future status to preserve its flexibility in the talks. Putting something in writing could scupper that strategic advantage. Officials are also aware that the letter will become public swiftly after it is sent to the European Council, the institution that represents the EU’s 28 national governments. Making public concessions to the EU side too early — such as over free movement and EU budget contributions — could provoke a backlash from Conservative lawmakers back in London, who might think they have painted themselves into a corner. Yet a clear statement of intent on the part of the UK is necessary if the negotiations are to cover Brexit, the post-Brexit transitional arrangements, and the long-term relationship between the UK and the EU. May would then have around 18 months to conclude the talks. But a substantial delay in the UK’s preparedness to lay its cards on the table and set out its goal for future relations would shorten the time available to nail down a deal on all three aspects. This would risk the UK plunging off the cliff that the CBI has warned of.